Tollcross Central Church of Scotland 1089 Tollcross Rd near Corbett St. This church was built in 1806 and through the years extensions and a graveyard was added, interestingly the author of the famous wean's poem “Wee Willie Winkie” William Miller, was buried in this yard. 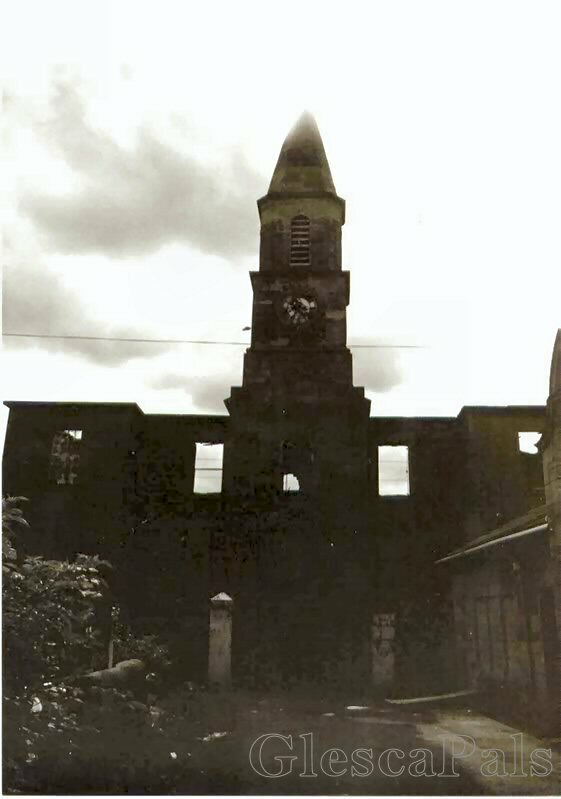 The church was badly damaged by fire in 1990 and finally demolished in 1996.
church pillars at the Church Lane entrance still exist. 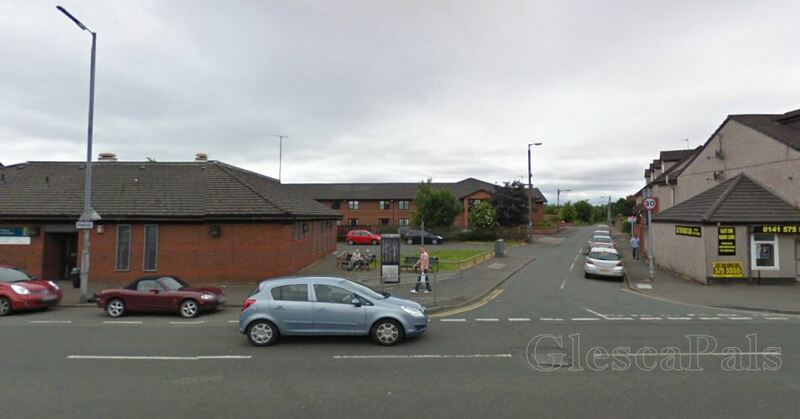 I lived in Corbett St when I was a teenager and we used to go to this church, my grandparents are buried there. I used to the love the Midnight service at Christmas, it was lovely. Such a pity to see this once proud and beautiful church being gradually vandalised and set fire to. My Mum no longer lives in Tollcross so havn't been there for some years. 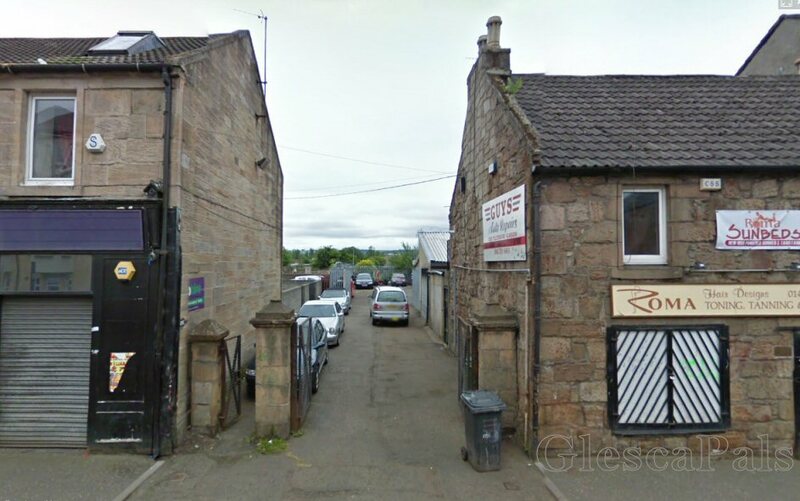 While on holiday I met a couple from Baillieston and her mother lives in Altyre St. Tollcross, she told me that Altyre St and Dalness St. are due to be demolished to make way for some development connected to the Commonwealth Games in 2014.